Welcome to Skinive website and chat-bot application (“Online Services”), an online information and communication service provided by WiseAI (“Skinive” or “We” or “Us”), subject to your agreement with all of these terms and conditions (“Terms”). 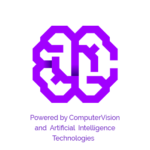 WiseAI LLC is a foundation incorporated under the laws of the Republic of Belarus. WiseAI may modify these Terms at any time, and such modifications shall be effective immediately upon posting the modified Terms on Skinive website. We will ask you to acknowledge that you have received the modified Terms prior to your access to the Services. If you do not accept these updated Terms or do not wish to be bound by changes following posted notices, you should discontinue use of the Websites and the Service. From time to time Skinive may offer website visitors the opportunity to participate in additional features or services through Skinive Online Services. You may be required to enter into additional agreements or to provide authorizations before you can access such features or services. In order to use the Skinive Services, as described below, you need Start chat-bot to receive a Skinive account. You can and by completing the questionnaire of the Risk Profile and Skin Type. The goal of the Skinive Online Services is to help you monitor and track your skin over time, inform you about the health of skin, provide you with the opportunity to assess the risk profile of your skin. We aim to create higher awareness of your skin health by sending you information and reminders to keep you on track with your health journey. The Skinive Assessment service allows you to take a picture of an individual spot on your body by following the user guide instructions. The pictures will then be assessed by the Skinive algorithm for potential signs of the most common forms of skin acne, papilloma, moles, benign formations, cancer (i.e. melanoma, basal cell carcinoma, squamous cell carcinoma). Skinive performs continuous quality control of the assessments with a team of algorithm and image recognition experts, collaborating with dermatologists. In cases with a potential health risk, Skinive provides feedback to you about the preferred next step to take. The goal of the assessment is to help you understand your skin health and does not provide you with a diagnosis for skin cancer or any other potential skin condition. Skinive also provides a subscription for one (1) month and one (1) year, which gives you access to unlimited Assessments while the subscription is active. After a year of subscription, you will be contacted that your subscription is ending. If you do not react or renew your subscription, your account will be downgraded to a standard account. You can always upgrade your account again. Skinive collaborates with specific health insurers and corporates. When you are admitted to the year-long subscription via one of these parties, terms of usage and duration of use may differ and are dependent on the contract and agreement Skinive has with the relevant party. In addition to the above services, Skinive provides other services that allows you to take photos with your standard smartphone camera, create storage, organize and comment on your pictures in order to track your skin over time. You can also complete the questionnaire to assess your skin profile. Belarusian laws. Skinive is designed to support the health decisions and choices that you make for yourself. In the context of health and wellness, your decisions should always be made in conjunction with your attending physician or health care provider. At Skinive we are constantly improving our services by performing research activities. As part of the research activities we may perform checks on the photos to verify the accuracy of the assessments. In case we discover certain findings that relate to your health we may contact you outside of our regular automated assessment in the app. We will inform you about these findings, by sending you a message to the email address that you have provided to us as your username. In case of a serious finding, and when we are not able to get in touch with you via your email address, we may try to get in contact with you via the phone number you provided to us, or via other channels. Skinive recommends you to read the user guide and Instructions for Use before you use the assessment. The lesion is in a skinfold. unpredictable way. In case you have doubts about a skin lesion or when it changes, is irritated or bleeds, always consult with your doctor. The contra indications only apply for the assessment. The contra indications are not applicable when you want to take pictures to monitor your skin lesions for changes without submitting for an assessment, or when you want to share your photo with a doctor. The lesion should be photographed directly (e.g. without the use of a dermascope, lens, mirror, or other appliances). You understand and agree that Skinive Online Services and any Services, content or information contained on or provided by Skinive Online Services is provided on an “as is” basis. Skinive does not make any express or implied warranties, representations or endorsements whatsoever (including without limitation warranties of title or no infringement, or the implied warranties of merchantability or fitness for a particular purpose) with regard to the service or any merchandise, information or service provided through the service. In addition, Skinive does not guarantee that use of Skinive Online Services will be free from technological difficulties including, but not limited to, unavailability of information, downtime, service disruptions, viruses or worms and you understand that you are responsible for implementing sufficient procedures and checkpoints to satisfy your particular requirements for accuracy of data input and output. In order to use the Online Services, you may be required to submit your billing and payment information via BePaid, or the app stores Google Play or Apple App Store. Before you are using the Online Services within the App, other than the other Skinive services, you will be required to pay the amounts due as listed in the App or on the Website. You expressly authorize us to charge you for any amounts due using your payment information we file. All payment information will be processed, stored, and secured by our third party payment provider BePaid, or the app stores Google Play or Apple App Store. Your annual subscription will not be automatically renewed. ordered until the end of your current subscription period. Skinive collaborates with certain health insurers and corporates. When you are admitted to the use of assessments or the year subscription via one of our partners, fees for service and duration of use may differ and are dependent on the contract Skinive has with the partner. 2. Credits that you have purchased or received in your wallet are not exchangeable for money. Skinive reserves the right to modify, discontinue, temporarily or permanently, the Services, or any part thereof, at any time, with or without notice. When appropriate, Skinive will give you a proportional refund. In addition, your access to the Services may be discontinued at any time if you violate the Terms of this agreement or if we determine, if you purposely misuse the service or act in an unethical way, or for any other reason, that it is no longer appropriate for you to have access to the Services. 1. The Online Services of Skinive are being provided to monitor, track and understand your skin health. The Online Services are intended to help understand and support self assessments, but are not to be used or relied on solely for any diagnostic or treatment purposes and they do not replace a visit to the doctor. Any reliance by you is at your own discretion and risk. The assessment is provided to estimate the risk of an individual to develop the most common forms of skin cancer (i.e. melanoma, basal cell carcinoma, squamous cell carcinoma) over time. The risk assessment is based on a smart phone generated picture which may not be an actual representation of any discomfort you experience (itching, irritation, bleeding), therefore, it is highly recommended that you discuss your personal risk factors and results of your assessment with your doctor. Skinive shall not be liable for any decision you take not to discuss your skin health, personal risk factors and/or results of your assessment with your doctor. 2. Skinive makes no representation or warranties relating to the information contained in the online and in-app library. We do not warrant that the medical information on the Online Services will be available, complete, completely accurate, up-to-date. 3. Notwithstanding the foregoing, Skinive reserves the right, but is not obligated, to refuse to post any content and/or remove your access to the Service. 4. We have no responsibility or liability for any kind of action that you do or do not take because of or despite of the information on the Online Services. If you are experiencing a medical emergency or you have any concern about your medical condition in any way you should seek immediate medical attention. You should not delay seeking medical advice, stop treatment, or disregard medical advice because of the information contained in the Online Services. 5. Skinive does not guarantee correct functioning of assessments if you use make an assessment while you are subject to a contra-indication for the use. which on the basis of the applicable law cannot be limited. 7. To the extent that our website and the information and services on our website are provided free of charge, we will not be liable for any loss or damage of any nature. 8. We will not be liable to you in respect of any losses arising out of any event or events beyond our reasonable control. 9. The Services are for domestic personal use only. Therefore we will not be liable to you in respect of any business losses, including (without limitation) loss of or damage to profits, income, revenue, use, production, anticipated savings, business, contracts, commercial opportunities or goodwill. 10. You agree that you will not bring any claim personally against our officers or employees in respect of any losses you suffer in connection with the website or these Terms (this will not, of course, limit or exclude the liability of the limited liability entity itself for the acts and omissions of our officers and employees). 11. We shall not be liable for any content you publish on social media by using a social media plugin on our website. you do not use the materials in a way that suggests an association with Skinive or an affiliated Skinive entity. You understand and agree that title to these materials shall not pass to you or any other user. Depending on your country, consumer protection rules may apply. We recommend you to take note of these. These Terms are governed by the laws of the Republic of Belarus and subject to the exclusive jurisdiction of the courts of The Republic of Belarus (insofar as this choice of law and forum is not set aside by (super)mandatory laws of other countries involved). To be able to help you monitor the health of your skin, certain information is necessary for us to be able to provide you with our Services. You can sign up for our service in the chat-bot App using your messenger When you want to use our paid services, you also have to provide us with your payment information. We collect information about the device you use to access our chat-bot App or Website. The type of information we collect can, for example, include the type of your device, the software you use, location, device language and your IP address. In addition to this, we collect the data you provide in the App including the answers to the questionnaire regarding your skin profile and the pictures you take. We use your data to assist you in the best possible way. We need certain data in order to provide you with our full service and assist you with your health journey. We may also use your data for research purposes to improve our service. Furthermore, your information may be used for customer service, marketing, communications, and for legal purposes. Please read on for further details. Skinive has third party service providers that help us provide or improve our service, this includes service providers, payment providers and financial institutions, business partners or research institutions. Read here in more detail how your data is used and exchanged. On our Website, we have share and like buttons to enable you to share our content with your network. We provide you with the opportunity to use your Facebook and Telegram to login to our Services and we also have a Facebook plugin which provides us with information which allows us to improve our services. Read more here. Skinive has implemented various measures and procedures to safeguard your personal data, as stipulated by European and Belarussian data protection law. We will retain your data for 12 months after you unsubscribe from our service. Read more here. Our service can only be used when you have reached the age of eighteen (18) years or when you are older. Read more below. At any time, you can make a request to review, correct, delete, obtain your data. You are also entitled to withdraw consent for the processing of the personal data we hold of you. You can do this by mail or email, using the addresses listed below. You also have the right to contact the Belarussian Data Protection Authority when you have concerns about your rights. Please read more here. Skinive, located in Minsk, Republic of Belarus, is the owner and operator of the service and is the controller of personal data processed via the Website and the App. For more details, please see below. Please find the full explanation on how we process your data below. The data you provide to us is collected and used (“processed”) by us to provide you with our best service. The minimum information you are asked for to provide us is your email address in order to access our service. In our chat-bot App, you can provide further information regarding your skin type and risk profile. We also collect the pictures you take of your skin lesions and the way you store, organize and comment on them. Without your explicit consent, we are not allowed to store this type of information, and we cannot provide you with our service. Other information we collect is your payment information and the information you provide to complete your personal profile: your first name and last name, profile picture, gender, date of birth, location, phone number, language. When you use our Smart Check services and submit a picture of your skin lesion for analysis by our service, we store the pictures and collect the information of your assessment. We do this to be able to assist you with your health journey. We will ask for your explicit consent to allow us to store this type of information before you use such service, without your consent we cannot provide you with our service. As part of your health journey, we may send you follow-up emails regarding the provided advice and to assist you by reminding you to seek medical attention when necessary. If you wish to reply to these emails and get in touch with our Customer Support we will collect the information that you provide in these replies from you too. When you use our App, we also collect data that identifies your mobile device and your use of the platform. The information we store includes notification access, device-specific settings and characteristics, system activity, location details, IP address, language settings, app crashes and other device event information, access dates and times of your usage of the app. We collect information when you give us feedback via your App Store or the questionnaire. Our service is exclusively meant for your personal use. If you want to help others, please do so by encouraging them to download their own version of Skinive. This will help them with their health journey and ensures that any health-related messages will be delivered to the right person. During your visit to our Website or App, we automatically collect certain information of you, your visit of the service and the device you are using. This data includes data on the hardware, software, operating system, internet browser, IP address, language and application settings and version. We also collect data about when and how you used the service, including interaction with the elements on it and which pages you visited in the App or on the Website. Health journey: The main reason why we collect your personal data is to supply you with our core service: assistance with your skin health journey and assist you with the early detection of irregular patterns on your skin, which can be a potential sign of the development of skin cancer. Management and improvement of our Services: We use your information to manage our Website, App, and business and to improve our services continuously. Customer Service: Our customer service is here to help you and we use your data to do so. We may send you email notifications and/or in-App messages relating to the results of the analysis, this includes emails in which we provide you with information and ask you to provide us with information about possible follow-up actions. Marketing: In order to keep you informed, we may send you communications relating to our business, by email or other contact details you provided to us. If you submit personal information for publication on our Website, we will use that information in accordance with the license you grant to us. Communications: We will send you communication regarding assessments you make via the App. If you opt-in for our mailing list, we may send you non-commercial communications, including our newsletter. When you use our services, we may send you a questionnaire or invite you to provide a review of your experiences with our service. We also may get in touch with you regarding feedback, inquiries, and complaints you made regarding our Website and App. Research activities: In order to support the research on skin cancer and detection methods, we may use your data, depersonalitic (without a direct link to your identity) or anonymized (without us being able to identify you at all), for research purposes. This may include sharing your data with carefully selected third party research institutions. By uploading your images in the App, you explicitly consent to the images being processed for the purposes of the provision of the services and to be used anonymously for the purposes of research and testing of our services. As such, your images may be reviewed by our employees or third-party consultants who work for us and who are bound by strict confidentiality. Contractual necessity: In order to fulfill the contract, you enter into with us when you use our Services, we have to process some essential information. When you wish to use one of our paid services we may need to process your email address, pictures of skin lesions, risk assessment, payment information. Legitimate interests: We are committed to improving and growing our service. Some of your data can help us to improve and promote our Service and Website, other data we may need for administrative, legal purposes or anti-fraud activities. Legal obligations: We have to comply with certain laws and (country specific) regulations. In order to comply with these, we need information about your location and date of birth. Consent: For certain promotional and marketing activities, we may ask additional consent. When you wish to withdraw your consent, please contact us via the contact details at the bottom of this Policy. Explicit consent: Data regarding the health of your skin and risk assessments is a more sensitive category of data. In order to lawfully process this data for you, we will ask your explicit consent before we can assist you. When you wish to withdraw your consent, please contact us via the contact details at the bottom of this Policy. When you withdraw your consent, we will not be able to provide you with our Services and you should discontinue using our Services. For some specific reasons, Skinive may share your personal data with carefully-selected third parties. Please find an up-to-date list of the categories of our third parties here. Skinive uses social media for various reasons. We provide you with the opportunity to use your Facebook and Telegram login for your convenience. You supply your credentials to a Facebook-owned dialogue or embedded website, we will not receive any of your personal data from Facebook and we are not responsible for the processing of your data by Facebook. On our Website, we integrated social media like and share buttons (Facebook, Twitter, LinkedIn, Reddit), which allows you to share the content you like directly with your network. The social media plugins may process your personal data when you choose to share or like any content of our Website with your network. Skinive does not control and is not responsible for, the processing of personal data by these networks. Furthermore, we have a Facebook plugin which provides us with data which we use to monitor and maintain our Service. The information we receive from this plugin is not personalized and Skinive is not responsible for the processing of your data by Facebook. All data you provide to us and we collect from you is stored on secure cloud servers (the Servers) in the territory of the Republic of Belarus, or stored by trusted third party service providers outside of the Republic of Belarus, which are held to similarly high standards. As a result, your personal information may be transferred to and stored at, a destination outside your country. By submitting your personal information, you agree to the transfer of your personal information to the servers. Personal information may also be processed by staff or by other third party service providers operating outside your country who work for us. We take such steps as are necessary for the circumstances to ensure that any third party service providers treat your data securely and in accordance with applicable laws. All data that you provide through the App and/or the Website is encrypted when it is transferred to or from the servers using industry-standard encryption (TLS). Furthermore, data is stored in encrypted form when at rest on the servers. We store your account information and your digital images in separate data stores. The cloud server infrastructure is protected using firewalls and monitoring. We work with appropriate procedures to prevent unauthorised access to and/or misuse of your personal data. Skinive uses appropriate procedures and business systems to safeguard your personal data. Furthermore, we use security procedures and technical and physical restrictions for accessing and using the personal data on our servers. Only authorized personnel can access your personal data. Skinive will destroy or de-identify your personal information once it is no longer required for the purpose or purposes for which it was collected. If you terminate the Services and delete your account, we will retain your personal information for a period of 12 months, after which we will delete your data. We will retain the images you have uploaded prior to termination in anonymous form only, for the purposes of medical, clinical and commercial research, and for testing of the Services. We will ask for your consent to process your data anonymously for research purposes. Our service can only be used when you have reached the age of eighteen (18) years or when you are older. When we identify personal information of children younger than eighteen (18) years old, we shall delete the data based on our legal obligations. We will, upon your request, provide you with access to your personal information that is held by us. We will provide the data to you in a structured, understandable and machine readable way. We request that you provide us with appropriate evidence of your identity (for this purpose, we will usually accept a photocopy of your passport plus an original copy of a utility bill showing your current address). We will require you to make your personal identification number and picture invisible to us. In your request for access, we also request that you identify, as clearly as possible, the type(s) of information you wish to have access to. We will comply with your request to provide access to your personal information within 30 days and if you agree we may charge you our reasonable costs incurred in supplying you with access to this information. At any time, you can make a request to review, correct, delete, or obtain your data. You can also withdraw consent for the processing of the personal data we hold of you. You can make such request by mail or email, using the addresses listed below. You also have the right to contact the Belarussian Data Protection Authority when you have concerns about your rights, or if you feel that we are unlawfully processing your data. You may oppose against the processing of personal information concerning you, even if they are relevant to the purpose of the collection. You may instruct us at any time not to process your personal information for marketing purposes and we will provide you with an opportunity to opt out of the use of your personal information for marketing purposes. This site offers e-commerce or payment facilities and some cookies are essential to ensure that your order is remembered between pages so that we can process it properly. When you submit data to through a form such as those found on contact pages or comment forms cookies may be set to remember your user details for future correspondence. We also use social media buttons and/or plugins on this site that allow you to connect with your social network in various ways. For these to work the following social media sites including; Facebook, Twitter, YouTube, Discuss, will set cookies through our site which may be used to enhance your profile on their site or contribute to the data they hold for various purposes outlined in their respective privacy policies. 1.1. Limited Liability Company «WiseAi», hereinafter referred to as the «Company», publishes this Public Offer for the provision of services (hereinafter referred to as the «Agreement»), which is a public Offer Agreement (offer) addressed to an individual or legal entity hereinafter referred to as the “User”, separately referred to as the “Party”, and together the “Parties” accepting the offer and expressing the intention to consider themselves to have concluded the Contract by performing the specific actions necessary to provide him with Company guides services (acceptance of an offer). 1.2. This proposal in accordance with paragraph 2 of Art. 407 of the Civil Code of the Republic of Belarus (hereinafter referred to as “the Civil Code of the Republic of Belarus”) is a Public Offer, and in accordance with Art. 410 of the Civil Code of the Republic of Belarus this Agreement is considered a transaction concluded in writing. The conclusion of the Agreement takes place by the User’s accession to this Agreement, i.e. by accepting (accepting) the terms of this Agreement as a whole without any conditions, exceptions and reservations, in accordance with Article 398 of the Civil Code of the Republic of Belarus. 1.3. In accordance with clause 2 of Article 437 of the Civil Code of the Russian Federation (hereinafter referred to as the “Civil Code of the Russian Federation”), if the following conditions are accepted and payment for services is made, the natural or legal person making the acceptance of this offer becomes the “User” (in accordance with clause 3 of Article 438 The Civil Code of the offer of an offer is tantamount to concluding a contract on the terms set out in the offer), and the User and the Company together — the “Parties” to the contract on the terms of the Offer. 1.4. Acceptance of the conditions set forth in this public offer is the fact that a person has committed the actions provided for by paragraph 4.2 of this Agreement. By accepting this offer, the User expresses his full and unconditional acceptance of all the terms of this Agreement, and also confirms that the terms of the Agreement do not infringe upon his (their) rights and legitimate interests. 1.5. In connection with the above, carefully read the text of this public offer (Contract), and if you do not agree with its terms or with any clause of terms, the Company suggests that you refuse to conclude the Contract and use the services of the Company. 1.6. The Company recommends that the User regularly check the terms of this Agreement for changes and / or additions. 1.7. Each Party guarantees to the other Party that it has the appropriate rights, sufficient legal capacity and the authority necessary to enter into the Agreement. 1.8. This Agreement is developed by the Company and defines the conditions for the provision of the Company’s services to the User, as well as their rights and obligations. 2.1. “User” is a natural or legal person who has expressed a desire to use the services of the Company and has entered into this Agreement with the Company under the conditions contained therein. 2.2. «Company» — Limited Liability Company «WiseAI», a resident of the Republic of Belarus, UNP: 193107247. 2.3. ChatBot is a special automated program that can automatically receive, process and send messages in messengers. This program is owned by the Company and is used to provide services to users under this Agreement. 2.4. “Neural Network” is software developed by the Company, using computer vision algorithms, analyzing images of human skin areas and identifying similar signs with trained classes of skin lesions. This software is owned by the Company and is used to provide services to Users under this Agreement. 2.5. “Snapshot” is a snapshot of a human skin area, taken with a mobile phone in quality, suitable for analysis using the Neural Network. The snapshot does not contain personal information of the User. The snapshot is placed in the chat bot by the User. The user is solely responsible for the image presented in the picture. 2.6. «Result of image processing» — visual marking of the original image (image) and textual information containing the numerical value of the percentage of similarity of features of objects of the original image with 4 (four) classes of skin nosologies: benign formations, borderline, oncology and acne. 2.7. “Tariff Plan” is a proposal of the Company placed in a chatbot, containing the conditions and cost of providing the Company with the Image Processing Results by the Company. 2.8. “Offer Acceptance” — full and unconditional acceptance of the terms of the Offer by performing the actions specified in clauses 4.2 clause 4 of this Agreement. The acceptance of the offer creates a contract on the terms of the offer. 2.9. «Offer» — this document, a public contract. Publication (placement) of the text of a public contract on information stands, the site is a public offer (offer), addressed to a wide range of persons in order to provide certain types of services (paragraph 2 of article 407 of the Civil Code of the Republic of Belarus). The fact confirming the conclusion of a public contract by the User is its payment — acceptance (clause 3 of article 408 of the Civil Code of the Republic of Belarus, paragraph 3 of article 438 of the Civil Code of the Russian Federation). 3.1. The Company undertakes to provide the User with the Results of image processing by sending an informational message in the Chatbot after the appropriate request of the User. 3.2. The User, in turn, undertakes to accept and pay the cost of the Results of image processing within the framework of the Tariff Plan chosen by the User in the chatbot and in accordance with the terms of this Agreement. 4.1. This Agreement is considered to be concluded from the time of Acceptance by the User of this offer and is valid until the Parties fulfill their obligations in full. 4.2. The moment of conclusion of this Agreement (acceptance of this offer) is the moment when the User pays the full cost of the selected Tariff Plan in the manner and conditions specified by this Agreement (clause 3 of article 408 of the Civil Code of the Republic of Belarus, clause 3 of article 438 of the Civil Code of the Russian Federation). The moment of payment for the purposes of this Agreement is the moment of receipt of funds on the Company’s settlement account or on the account of the acquiring bank. 4.3. Payment is made in a non-cash order when you click on the active link in the chatbot. The user undertakes to make payment from the card of the issuing bank of the country of which he is a resident. 4.4. Tariff plan cost and other essential conditions are indicated in the chatbot. 4.5. This offer is valid in the wording and on the conditions that existed at the time of payment. 4.6. This Agreement, subject to compliance with the procedure for its payment in accordance with clauses 4.2 and 4.3, is considered to be concluded in simple written form (paragraph 2, paragraph 3 of article 404, paragraph 3 of article 408 of the Civil Code of the Republic of Belarus). 5.1.1. provide the User with reliable information about current Tariff Plans, terms of payment for the Services and other information, in the manner and on the conditions provided for in this Agreement. 5.1.2. immediately notify the User of the occurrence of force majeure circumstances that may affect the volume and quality of the Services rendered by the Company. 5.2.1. unilaterally make changes, additions to this Agreement, of which the User is considered duly notified, from the moment of posting the modified version of the Agreement on the Website. 5.2.2. Involve third parties to fulfill their obligations under this Agreement, as well as use the services / works of third parties that provide the possibility of providing the Services stipulated by this Agreement. 5.2.3. Require the User to comply with safety regulations, rules of conduct in public places, and respect for the property of the Company and third parties. 5.2.4. To process the personal data of the User in the manner established by this Agreement and the current legislative acts of the Republic of Belarus. 5.2.5. In case of damage by the User to the property of the Company and / or third parties, to demand from the User compensation for the damage caused in full. 5.2.6. Do not refund the funds deposited by the User as payment for the selected Tariff Plan, including in cases of non-use of the Tariff Plan by the User. 5.2.7. Conduct preventive work that may cause interruptions in the work of the Site and Chat bot. 5.3.1. observe safety rules, rules of conduct in public places, respect for the property of the Company and / or third parties, behave respectfully in relation to other Users, not allow actions that create a danger to others. 5.3.2. In case of damage by the User to the property of the Company and / or third parties, to compensate the damage caused in full. 5.3.3. Comply with the terms of this Agreement. 5.3.4. To pay for services in full in the manner prescribed by this Agreement. 5.3.5. Provide your reliable contact details, both when filling out the feedback form on the Site, and during any other interactions with the Company. 5.4.1. demand from the Company proper provision of the Services in accordance with this Agreement. 6.1. The Company’s responsibility is limited to placing in the Chatbot essential terms of the Tariff Plan, accepting funds from the User for the selected Tariff Plan and providing the user with the Results of processing the image in the Chatbot. The Company is not responsible for the inability to provide the User with the Processing Results of the image due to the User providing the Image unsuitable for analysis using the Neural Network. 6.2. The company is not liable if the User does not use the Tariff Plan. 6.3. Parties are exempt from liability for total or partial failure to fulfill their obligations if they occurred due to force majeure circumstances (force majeure), such as fire, natural disaster, accident, military action of any nature, blockade, strikes, power outages, termination of energy supplies or other unforeseen circumstances beyond the control of the Parties, if these circumstances directly affect the performance of this Agreement and the Parties could not foresee them and / or redo with reasonable measures, and their offensive is certified by a certificate of the Chamber of Commerce or other authorized organization. The circumstances of force majeure also include decisions of state bodies that impede the execution of this Agreement. 6.4. If any of the circumstances of force majeure directly entailed a failure to fulfill obligations under this Agreement, the deadline for the fulfillment of obligations shall be extended in proportion to the duration of the relevant circumstance. If these circumstances continue for more than one month, then each of the parties has the right to refuse to fulfill its obligations under this Agreement, and neither of the parties has the right to demand compensation from the other party for the losses caused by it. 6.5. The party for whom the impossibility of the proper fulfillment of contractual obligations for the reasons specified in p. 6.4 was created must immediately in writing (including by posting information on the website http://skinive.ru) inform the other party about the occurrence and termination of circumstances that do not allow to properly fulfill their contractual obligations. 6.6. None of the parties is exempt from liability for delay in the performance of obligations, admitted before the occurrence of force majeure. 7.1. Under the processing of personal data of the User (the subject of personal data) refers to the actions of the Company with personal data, including the collection, systematization, accumulation, storage, refinement (update, change), use, distribution (including transfer), depersonalization, blocking, destruction of personal data . 7.2. The purpose of providing the User with personal data and their subsequent processing by the Company is to provide services to the User. 7.3. After the expiration of the storage period for documents containing personal data, the company ensures their destruction. 7.4. The consent of the User to the processing of personal data is valid from the moment of their submission upon the expiration of the period specified in clauses 7.3 clause 7 of this Agreement or terminated by a written application of the User in a free form, sent to the address: 220034, Republic of Belarus, Minsk, ul. Red Star 18B of. 702. All received information is processed in the terms established by the Civil Code of the Republic of Belarus. 7.5. The user agrees to receive information about all events held by the Company and other information, including advertising, regardless of the duration of this Agreement (offer). 7.6. When collecting and processing personal data, the Company does not pursue other goals than those set forth in clauses 7.2 clause 7 of this Agreement. 7.7. The Company undertakes to maintain confidentiality with respect to the User’s personal data, not to allow unauthorized access and use of the User’s personal data by third parties who are not directly related to the execution of the Order. This obligation does not apply to persons who have the right to access this personal information in accordance with applicable law. 8.1. The parties undertake to act in good faith and take all measures to resolve all disputes and disagreements through negotiations. When resolving disputes arising in the course of the execution of this Agreement, the parties must have a pre-trial claim settlement procedure. The term for consideration of the claim is 30 (thirty) calendar days from the date of receipt of the complaint letter. 8.2. Any notifications, letters, claims, unless otherwise provided by this Agreement, must be sent by registered mail with delivery receipt, or by courier delivery service confirming that the letter was delivered to the addressee, or delivered personally on signature. 8.3. If it is impossible to resolve the disputes arising in the pretrial order in accordance with paragraph 8.1 of clause 8 of this Agreement, they are subject to settlement in a judicial order in accordance with the current legislation of the Republic of Belarus on the territory of the Republic of Belarus. 8.4. The relations of the Parties arising from this Agreement, preferably the application of the law of the Republic of Belarus. 9.1. The contract on the terms of the offer comes into force from the moment of its conclusion (acceptance of the offer) and is valid until the Parties fulfill their obligations in full. 9.2. This Agreement remains in force in case of changes in the details of the Parties, changes in their constituent documents, including, but not limited to, changes in the owner, legal form, etc. The company has the right to transfer the rights and obligations under the Agreement to another person. In the event of a change in details, the Parties are obliged to notify the other Party about this within 30 days. 9.3. The parties unconditionally agree that this Agreement is concluded in Russian at the legal address of the location of the Company. 9.4. The parties unconditionally recognize the legal force of the text of this Agreement. 9.5. For non-fulfillment or improper fulfillment of obligations under this Agreement, the Company and the User shall be liable in accordance with the legislation of the Republic of Belarus in force. 9.6. In all relationships with third parties, the Parties act on their own behalf and at their own expense.